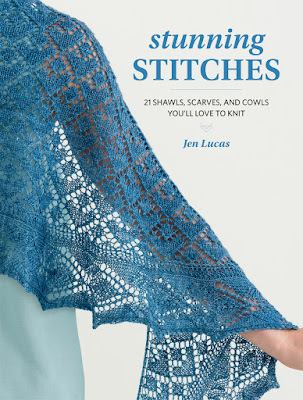 I can't believe I'm about to say/type this - Stunning Stitches, my fifth (!!!!!) knitting book will be released a week from tomorrow. I'm so excited for this book to be out in the knitting world. To celebrate, I've decided to host another little Instagram photo-a-day challenge. Each day I'll be sharing something about the new book on Instagram, and I'd love for you to play along too. 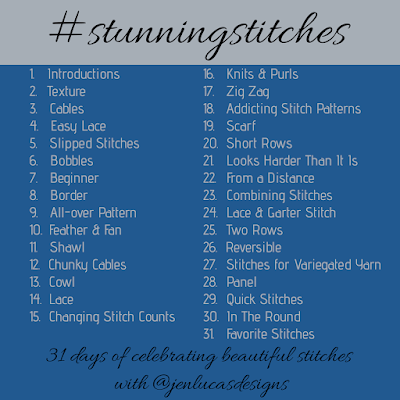 Let's make May a month of celebrating beautiful stitches! It's super easy to join in the fun. If you are on Instagram, just post a picture each day featuring the theme for that day. 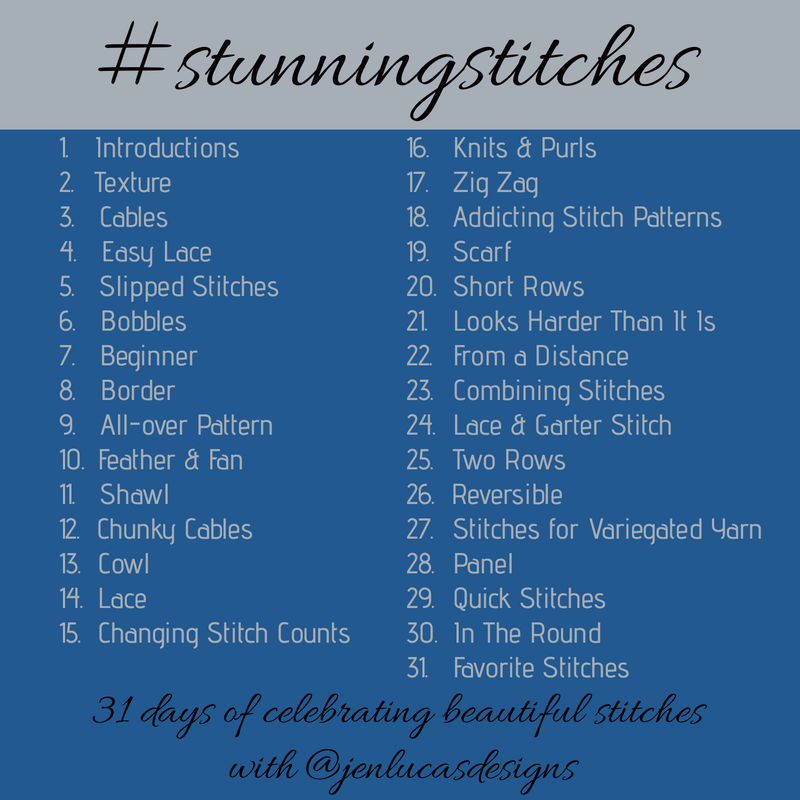 Tag your photo with the hashtag #stunningstitches. That's it! Like everything I do around here, this is just for fun. So, if you want to skip a day - no problem. Just pick the ones that speak to you. Whatever you like! Even if you are not a regular Instagram poster, you can follow the fun by checking out the #stunningstitches hashtag. This month you'll be seeing a lot of Stunning Stitches here on the blog too. So stay tuned!